With its array of ice cream flavors and a vast selection of TV dinners, the frozen food section may not seem like the place to go if you’re looking for healthy food options. But not all frozen foods are unhealthy, experts say. Certain frozen foods aren’t only nutritious, they can save consumers money and help reduce household food waste. In fact, studies have found that frozen food generates 47% less food waste compared to shelf-stable and chilled food. Here are five foods to toss in your freezer for a source of key nutrients that can be consumed now or later, and in whatever quantity you choose. Organic vegetables. Whole green beans or peas are cheaper to buy frozen and do a stellar job of retaining their nutrients, the EWG explains. 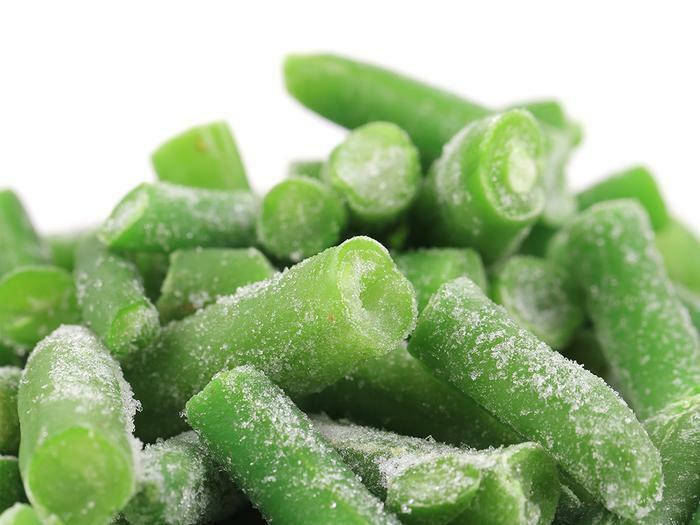 Frozen green beans retain more of their vitamin A and C content than other frozen veggies, while frozen peas retain more of their vitamin C content than fresh peas that have been stored for five days. Organic fruits. Frozen berries are good to have on hand for smoothies, oatmeal, and a myriad of other dishes. They also have an edge over dehydrated berries because they retain their vitamin content better than berries that have been exposed to high pressure or temperatures. Additive-free baby and toddler food. Some stores now carry baby food made from frozen fruits and vegetables. These products contain less added flavors, additives, and fillers since they are often harvested at the peak of the season. Sustainable, low-mercury seafood. In addition to being cheaper, frozen seafood is often of higher quality than fresh fish (which can sit on ice for more than a week before reaching the grocery store). To see which fish are high in omega-3 fatty acids and low in mercury, check out EWG’s Seafood Calculator. Better burritos. Most burritos in the frozen food aisle are “loaded with additives and are unnecessarily high in sodium,” the EWG notes. But good options do exist. The key to choosing a better-for-you frozen burrito is to look for varieties that highlight beans and environmentally friendly protein, like the Amy's brand.